The Pump House is a traditional style cottage, which overlooks a beautiful Victorian lawn with native and exotic trees to the front, and a cobblestone yard to the back. The cottage is tastefully decorated throughout, bright and spacious, with the guests' comfort and enjoyment in mind. It has central heating and a solid fuel stove (logs are provided free of charge) as well as a range of extra complimentary amenities. 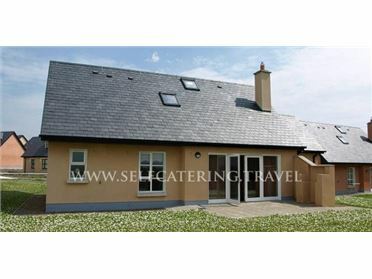 It is located next to our 18th century house, in the middle of 35 acres of farmland dotted with ancient trees, shrubberies, and a wide variety of wildlife and domestic animals-yet only 20 minutes walk from the historic town of Athy. The Barrow runs adjacent to it and is ideal for coarse fishing or bird watching. We pride ourselves on the gentle hospitality we provide our guests and look forward to welcoming you soon!.